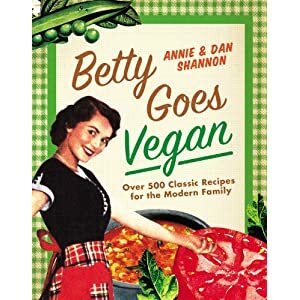 Meet The Shannons: The Betty Birthday Contest! All you have to do is leave a comment below voting for what recipe you'd like to see next Friday and we'll choose one follower (sorry to be so strict but we have to have a way to contact you) to win these cute little espresso cups with precious little piglets on them and a $10 gift card to Starbucks. I know - We should be supporting a local coffee shops but some of you guys are in like Europe and really how are we going to make that work? Besides, Starbucks has these new vegan cookies and frappucinos now and they always have soy milk - so really it shouldn't too hard to spend $10 there. We'll announce the winner on Wednesday May 20, 2010 and posting the recipe on May 21, 2010 and perhaps eating an entire cake that evening. Definitely the Peanut Butter cake!!! not something we make everyday! Hmmmmm, Silver White Cake with White Mountain Frosting sounds interesting - I'm familiar with all the others. Bammers says carrot cake with cream cheese frosting! wow, they all sound amazing, but I think I'll also go for the peanut butter cake, yum! Silver White Cake with White Mountain Frosting sounds so celebratory! And you are correct, that burger cake is awesome!! Molten Lava Cake. Not only would it be yummy, but it seems like a fun challenge. Happy (Pre)Birthday! Can I vote? Is that cheating? I vote for Peanut Butter Cake with Chocolate Buttercream Frosting! I vote carrot cake with cream cheese frosting! I can't wait to see what you make and how you veganize it!! OMG Yes, German Chocolate!! The only time I can eat coconut and like it! Molten Lava Cake! Who can pass up a gooey, chocolate vegan confection?! They all sound delish but I have to go with Peanut Butter Cake with Chocolate Buttercream Frosting! I will vote for German Chocolate because I love it & because it would be a huge challenge to veganize it. When it is made from scratch the 4 eggs have to be separated etc. Would love a vegan version. I'm a little disappointed that every vote on here isn't for the peanut butter cake with chocolate buttercream frosting. I trust you'll do what you know in your heart to be the right thing. I've never even heard of a peanut butter cake. It just makes sense. Although the choices all sound delicious, I'd love to see a vegan recipe for Carrot Cake w/Cream Cheese Frosting and will probably eat the entire thing myself once I make it ;-) Happy Bday in advance! why not make all of them as little mini cakes? variety is the spice of life! Totally have to do the carrot cake with cream cheese frosting. I am new to veganism - 2 months and counting - and I am still learning how to veganize so I would LOVE to see how you would veganize this recipe. Please Carrot Cake with Cream Cheese Frosting! And wow - you guys ARE the bees knees, so to speak. I vote for the Peanut Butter cake. German Chocolate Cake. Pre-Happy Birthday! I'm not a 'wise' man. I'm no expert on 'things'. But if I know ONE DAMN THING in this world it is that you deserve a Peanut Butter Cake with some damn chocolate buttercream frosting. I hope, for your sake, for my sake, for the sake of all these good people - that you make this Peanut Butter Cake with Chocolate Buttercream Frosting. oh my, PLEASE Chocolate Chip Cake with Chocolate Ganache !! Because nothing says birthday like choc. chips. I have to vote for German chocolate, I would love to see the recipe, especially if you do a coconut topping, it sounds so good! Thanks for a fun giveaway and an awesome blog! If it is not too late, I vote for the German Chocolate Cake! You have to love all that coconut. Molten Lava Cake for sure!! 35 is abig one...you'll need a good chocolate fix to get through it...JK!! Happy Birthday!! WHAT THE HELL IS Silver "White Cake with White Mountain Frosting" .. you must make this.. if nothing else because of pure curiosity. Also, because it sounds like a slice of cloud taken from the heavens. You should make that. Oh, and happy almost bitrhday!! !